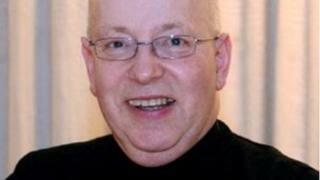 The death of a vicar whose body was found in his vicarage near Bristol is being treated as suspicious by police. The Reverend John Suddards, a former barrister, is understood to have moved to Thornbury from a parish in Witham, Essex. Police were called to the property on Castle Street, part of which has been sealed off, at 10:20 GMT. Avon and Somerset Police said his body was found by builders on a planned job, who were given a key by a caretaker. Det Ch Insp Simon Crisp said the investigation was at "an early stage" and a post-mortem examination is due to be carried out. He said a pathologist and a forensic scientist were assessing the scene. "A full search and examination of the property will take place and we're determined to find the cause of the death," said Det Ch Insp Crisp. Residents are being asked to "liaise with officers" if they need to gain access to their homes on the road.